The Georgetown Collection is classic in form, style and design. 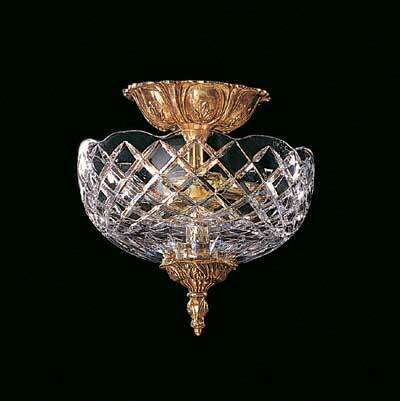 These beautifully detailed Ceiling Mounts are 24 percent lead crystal designed to reflect true old world style. Description: This Olde Brass Ceiling Mount is a part of the Olde World Collection. It features a solid cast brass canopy with 24% lead crystal.